Angie in T.O. : 24 YEARS IN TORONTO! This past March marked 24 years of living in Toronto for me. I've made a good life for myself here; great friends, a good job and a wonderful husband. 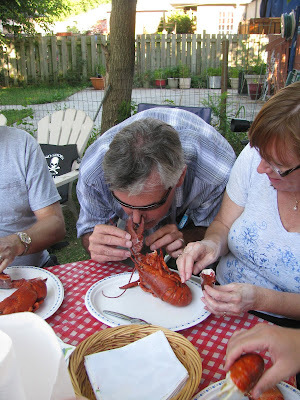 Toronto is home to me now, though I'll always be a proud Maritimer. 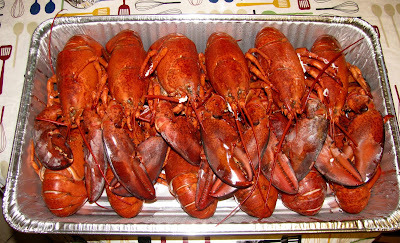 One of the things I miss from Nova Scotia besides family and friends is the fresh seafood, especially in the summer. 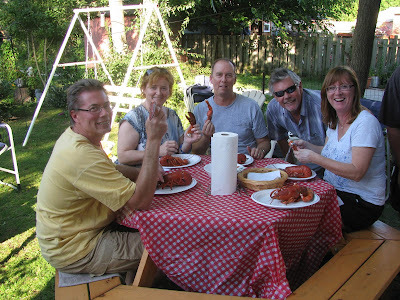 This past Saturday I was able to satisfy my need for some good seafood with a big feed of lobster and a backyard full of friends. 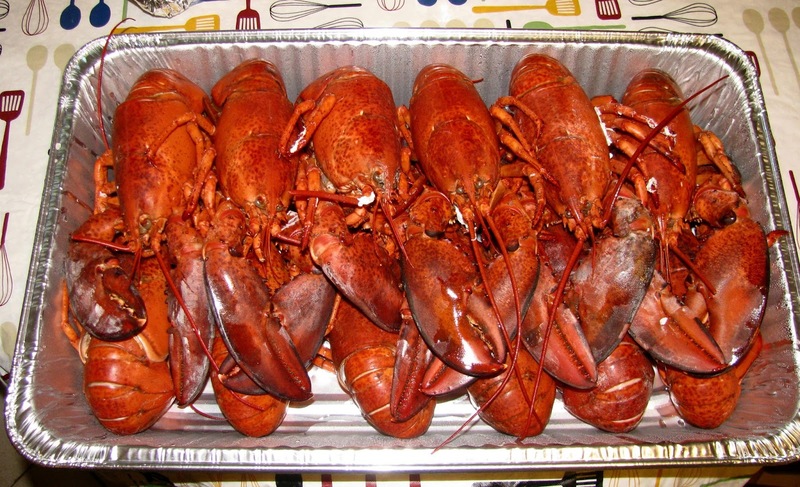 A table full of lobster, and friends. Murray trying to pierce his nose. I wonder what the next 24 years will bring?